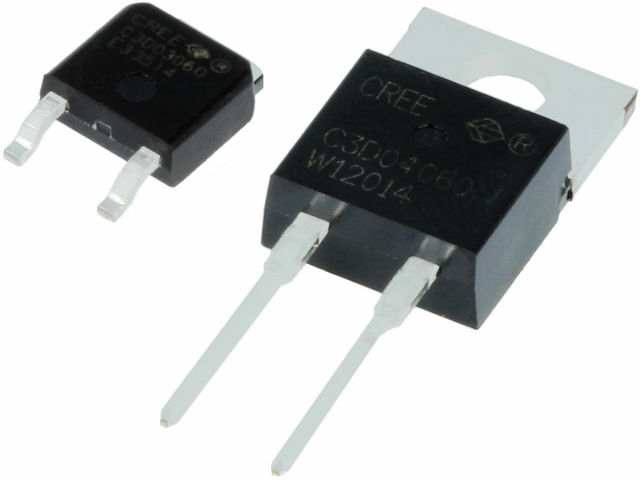 Schottky diodes from CREE are manufactured with the use of Silicon Carbide, they have excellent current and switching parameters, and high breakdown voltages. In terms of thermal conductivity, they outperform the most commonly used Si diodes. They are a perfect fit for high voltage electronics.